Many retired Precious Moments figurines and ornaments are now available for sale online! Shop Now! Huge SAS Handbags After Christmas Sale! 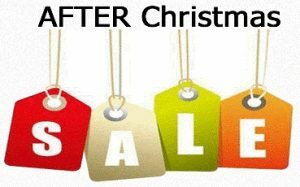 Huge SAS Handbags After Christmas Sale! We have decided to extend this huge sale on all SAS Handbags! Save 10-15%! You’ve asked and we’ve delivered! Still looking for that perfect gift to make her happy? Now is your time to buy one of these beautiful handbags. Not only are they now 10-15% off, but we are still offering free shipping! That’s some great savings! Stop by and take a look. Have a big family to shop for? No limit to the quantity! No time like now to pick out a great gift and save! Put a smile on the face of someone special this holiday season. Ready to check out the SAS Handbags? Click here! Offer available from now until January 31st 2017 for orders shipping to the continental US only. Huge sale on all SAS Handbags! Save 10-15%! Huge sale on all SAS Handbags! Save 10-15%! You’ve asked and we’ve delivered! Still looking for that perfect gift to make her happy? Now is your time to buy one of these beautiful handbags. Not only are they now 10-15% off, but we are still offering free shipping! That’s some great savings! Stop by and take a look. Have a big family to shop for? No limit to the quantity! Even if we don’t have it in stock, we can certainly still get it in time for Christmas! No time like now to pick out a great gift and save! Put a smile on the face of someone special this Christmas season. Offer available from now until December 31st 2016 for orders shipping to the continental US only. Free Shipping on all SAS Footwear and SAS Handbags! Free Shipping on all SAS Footwear and SAS Handbags! We are in the Christmas spirit! We are offering shipping via USPS Priority Mail on all SAS Footwear and Handbags. That includes Shoes, Sandals, and Boots. Any Style, Color or Size! Ready to check out the footwear? Click here! Happy Holidays from Song’s Gift Nook! Many Ty Beanie Babies have been added! Many Ty Beanie Babies have been added to the website! 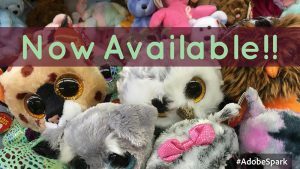 While anyone who has visited the store, knows at some point we had to add the Ty Beanie Baby plush stuffed animal collectible toy to our website. Also there are Beanie Babies, Beanie Boos, Frizzys, and Pinkys to choose from. They aren’t all on yet, as there are so many! So you can surely expect more to show up. Those cute little critters are everywhere! Stop by Song’s Gift Nook or songsgiftnook.com to find the right unique gift for you! They make great gifts for Birthdays, Valentine’s Day, Mother’s Day, Father’s Day, Weddings, Halloween, or the Christmas holiday season. We are pleased to announce a Huge Sale In-Stock Discontinued SAS Shoes & Sandals! Save atleast $40 on all in-stock Discontinued SAS Shoes and Sandals! Also sizes are limited! Therefore check us out today before yours is gone! We would love to show you the styles, colors and sizes that are available, but unfortunately, at this time, we are told we can’t. Therefore, if you are interested in any of the following list, please give us a call at 605-224-5388 and we will gladly tell you what is available. While we have for the men: Men’s Alamo – Black, Men’s Alamo – Cordovan, Men’s Amigo – Black, Men’s Comfy – Rust. For the women we have: Women’s Huggy – Rust Nubuck, Women’s Huggy – Taupe, Women’s Simplify – Pearl Blue, Women’s Softie – White, Women’s Tango – Black, Women’s Tango – Chestnut, Women’s Trio II – Navy, Women’s Trio II – Taupe, Women’s Trio II – White, Women’s Whisper – Black, Women’s Wink – Antique Walnut, Women’s Wink – Black. We have been hard at work and have many new items added to the website. Many great figurines from the Elephant Parade, Call of the Wolf, or Horse of a Different Color collections. Also many movie or tv collectibles ranging from Marvel or DC Comics to Peanuts, Outlander, or The Walking Dead. Don’t forget the huge selection of Men’s and Women’s SAS Shoes or Sandals for you to choose from. We strive to be able to bring you the latest offerings that SAS has. Many different great styles and colors. Please check back often. We are still constantly adding our products to our site. Thank you for stopping by and taking your time to look at our site. 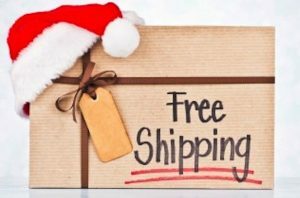 Announcing Free Shipping on all SAS Shoes and Sandals! Big Sale On SAS Women’s FreeTime Shoes!! Come and Save $15 on All SAS Women’s FreeTime Shoes! All Colors and Sizes! Welcome To Song’s Gift Nook! Welcome to Song’s Gift Nook! Thank you for visiting our store! We are working hard to get all products online. Please check back often for new items.